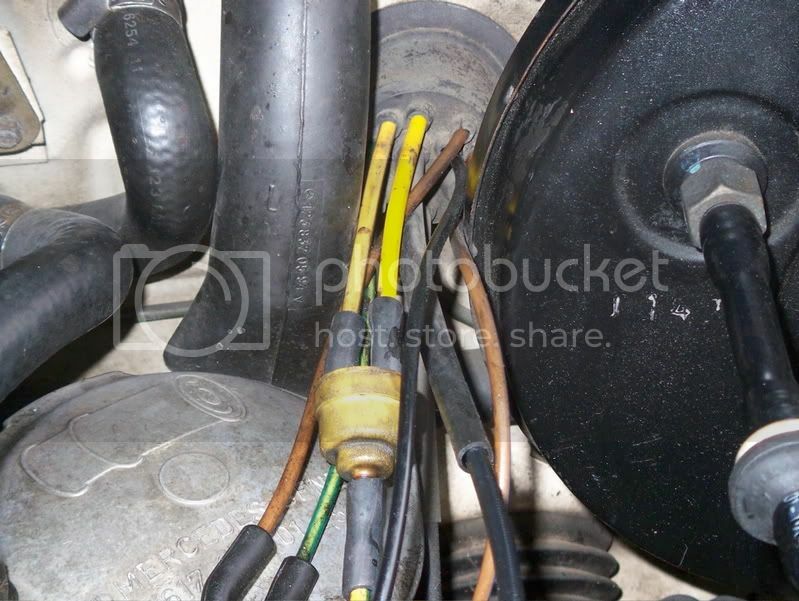 Severed vacuum lines on '81 300D? So I've been poring over the vacuum diagrams I've found, and can't make sense of what's going on my car. The previous owner appears to have cut one vacuum line and stopped up another with a nail! Many of the tubes and joints are newish, so no helpful color coding. Anybody know what these are supposed to be doing? 2. This is the central plug (at least, I think that's what it's called). Note the nail in the rightmost tube. Pardon my naivete -- this is the first car I've delved into. On my '84 CD, the thin black line goes from the Vacuum Control Valve to a vent in the passenger compartment. Fine as is, or simply connect to side of VCV via a piece of tubing. 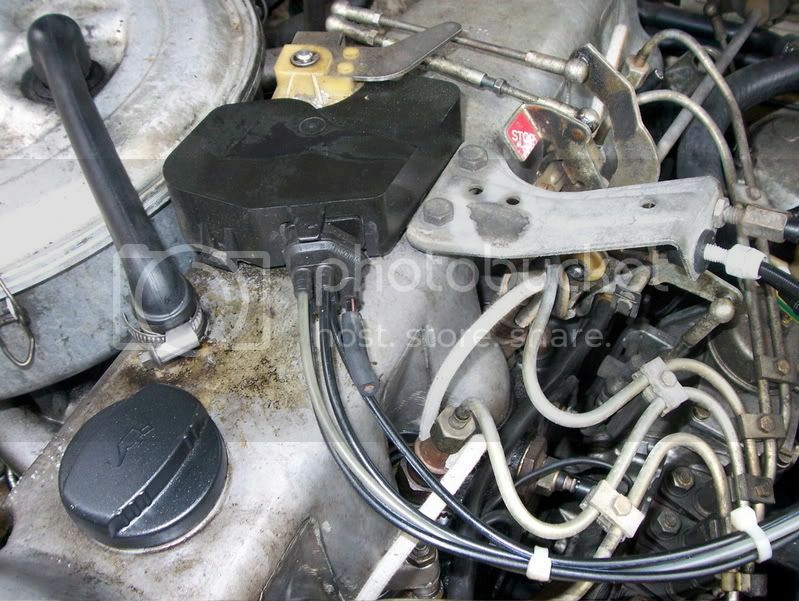 The black box on top of the cam (valve) cover is a 3/2 valve, part of the Exhaust Gas Recirculation system. If completely bypassed, you'll get better performance. The plugged up line used to "tee" into the main line and to the green check valve on top of the VCV. Said VCV is not in either pic. Above info is gathered from a newer model. Your Bowden cable (the black cable ending in a white adjustment on the mount extending from cam cover to driver side, closest to front of car) is set up different. Turbo? Hope this helps. The technical term for that bundle of tubes is the internet! Seriously, I'm not sure the bundle of tubes has a name. It's a collection of vacuum supply lines. On my 78 240D that black line is connected to a white 3-port valve (one port for vacuum supply, two ports out; the line is connected to an out port). There should be two of these valves; I see the yellow one in the first picture, but is there also another one? If so, what is connected to it? Color coding applies to the plastic lines. Looks like the lines and colors are all there.